Assuming you have a great web design for your website, search engine optimization (SEO) is a marketing strategy that is capable of multiplying a company’s sales, in some cases, by a factor of 100. There are some businesses, however, that may not even benefit from having SEO carried out on their website. For this reason, it is vital to fully understand the benefits of SEO so that you can weigh up whether investing in SEO would be a good decision for your particular company Each business operates very differently which means some businesses will benefit more than others. The best way to establish the potential value is to estimate the return on investment of your ideal SEO campaign. This starts with identifying the main keywords you wish to target as a company. Once you have a good list of ideas you can use various SEO tools such as Ahrefs to analyze the search volumes of these keywords. Obviously, those with the highest monthly search volumes have the greatest potential in terms of generating the most traffic. Remember, however, to consider other keywords with lower search volumes as some of these may have the potential to convert better than the more highly searched keywords. These also tend to be less competitive and therefore easier to rank for. For example, a keyword such as “toys” may generate a lot more traffic than a term such as “buy toys online”, but the latter is much more likely to convert as there is more buyer intent behind these kinds of phrases. The next step is to put together a short list with the keywords that you feel would produce the best results for your company. Now assuming your website was ranking near the top of the search results for each of your chosen keywords, you can use the previously researched search volumes to estimate how many visitors you would get to your website as a result. From this, you can roughly estimate how many of those visitors would be converted into real paying customers or clients. The figure you arrive at should then be multiplied by the average price of your products or services. This will allow you to calculate the potential monthly revenue that could be gained as a result of ranking highly on the search engines. If this number is greater than the cost of hiring an SEO company to carry out the work, then SEO would likely be a worthwhile investment to make. Companies selling high ticket items may not even have to generate much web traffic in order to make a healthy ROI as they do not have to sell as many of their products to make a profit. 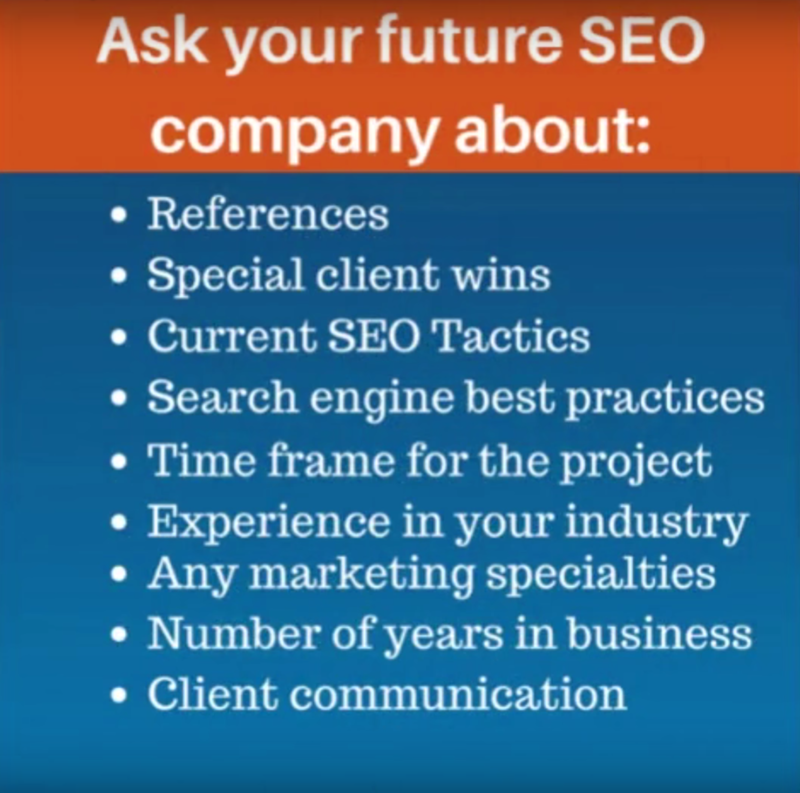 If after the steps above you have established that SEO would be a worthwhile investment for your company, you must now focus on finding a company capable of delivering the results. SEO will be of no benefit if high-level rankings are not achieved. Moving from page 5 to page 2 on the major search engines may seem like a big improvement but if the website is not near the top of page 1 then it is unlikely for you to see real results. You, therefore, must find a company that is capable of ranking websites at the top of the search results for keywords similar in competitiveness to those you have chosen. If the SEO company cannot show you any proof of their previous rankings, they may be one to stay away from because you cannot be certain of their ability to help you with your SEO campaign. Once you have decided on an SEO company that you are confident can deliver, all you have to do is monitor their progress and stay patient. Ranking in the search engines can be a lengthy process. In most cases, this may take up to around 6-12 months depending on the competitiveness of the keywords and the website’s current position in the search results. Just keep in mind that SEO is a long-term investment and that after the work has been done, your website will be producing a solid return on investment each month. If your company is considering investing in an SEO strategy, visit https://kelsallseo.co.uk/ for more information.